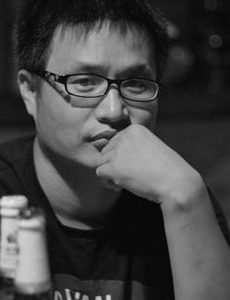 Born in Guangrao, Shandong, Zhang Xiangming graduated from the Shandong Normal University art department in 2003. 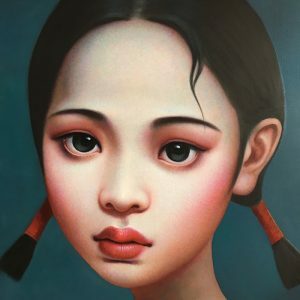 He went on to study research work of oil paintings in the Artistic Research Institute of China in 2007. 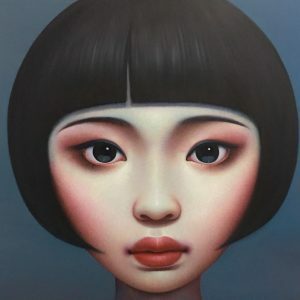 The “Beijing Girl” series depicts young women’s urban life spirit in the contemporary society. Despite looking beautiful and innocent, they ooze an alluring nature that is rebellious and sensuous at the same time. 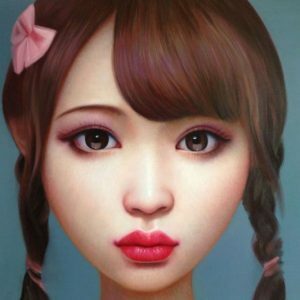 In his works, Zhang uses fine and realistic painting skills to give a strong and distinctive character to the female subjects. Even though they appear restless and calm, they still have a kind of indescribable beauty. Zhang Xiangming regards his art as a presentation of symptoms. 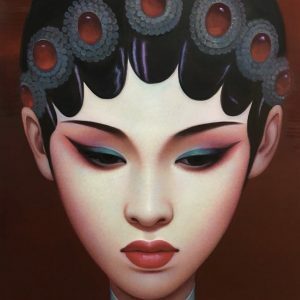 His recent concentration on a single subjective range – young, attractive women of an Asian cast – may be pitched in order to exploit scopic interest, even desire, but it has been chosen, and is varied, in order to reflect social circumstances, circumstances that pertain within China and without. 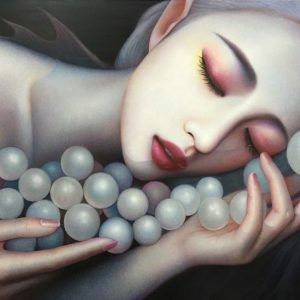 “The porcelain skin of the lady in my painting symbolizes a high degree of spiritual indifference and melancholy that come about when ideals have vanished,” Zhang explains. By taking a closer look at the changes in women and how they are represented, various changes can be suggested about the human race. 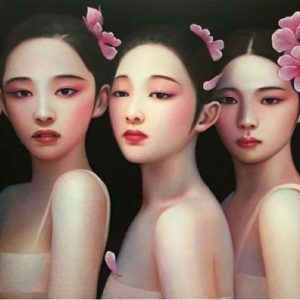 By the same token, women’s attire, decorum, and the manner that they are advertised in pictures aptly represents Shanghai in the 1920s, the Renaissance in Europe, and even present day global developments that we have come to understand in terms of politics, economics, and culture through these respective periods – women are the manifestations of myriad personalities and lifestyles in a particular climate…. 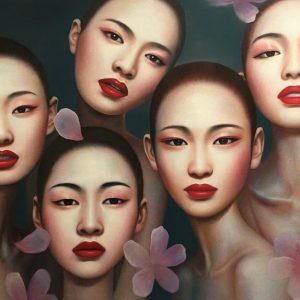 These “beautiful women” in Zhang Xiangming’s paintings, are simply spiritual representations of the Chinese and their newfound complacency towards neo- nationalism, as well as towards their values and aesthetic perspectives.